Singtel OnePass is the single login ID you need to manage all your services on My Account and My Singtel app. 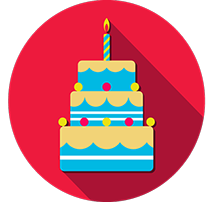 Enjoy FREE 1GB local data on your birthday month! What else can I do with Singtel OnePass? Fast and easy access to your bills 24/7. Get online access to all your electronic bills and pay on the go with the newly enhanced myBill service. Be surprised with delightful treats! Celebrate with your family and friends with fantastic rewards and exciting FREE treats every month! Stay connected to your loved ones. Share your travel moments with Singtel data roaming services for wherever your travels take you. Never miss a re-contract opportunity! Re-contract online with greater confidence and enjoy some great deals on our wide selection of mobile devices and plans. Shorten your queue time at the shop. Save precious time by making an appointment online for your preferred time and location before leaving your home! Keep track of your account activities. Get a full summary of your past and upcoming shop, installation appointments and previous updates to your personal profile. Experience convenience at your fingertips with My Singtel app. How do I sign up for Singtel OnePass? You may sign up for Singtel OnePass by clicking here. Can I sign up for more than one Singtel Onepass? No, you can only register for 1 Singtel OnePass for all the Singtel services registered under your NRIC or FIN. If I am not a Singtel customer, can I sign up for Singtel OnePass? You may sign up for your Singtel OnePass with access to selected online services at My Portal. Can I change my mobile number and/or email address used for Singtel OnePass? You may change your mobile number and/or email address that is linked to your Singtel OnePass at Manage your OnePass page. How do I reset my Singtel OnePass password? You may change your password by clicking here. Why should I link my mobile number to my Singtel OnePass? It is for your convenience to use any preferred mobile number to login. Enjoy FREE 1GB local data on your birthday month! Simply register for your Singtel OnePass and update your particulars.